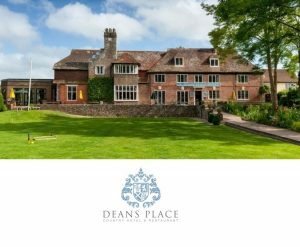 Nestled at the foot of a particularly beautiful part of the South Downs, Deans Place offers an idyllic and versatile venue for wedding celebrations and civil services. Seated on the banks of the gently meandering Cuckmere River guests can enjoy breath-taking views of the South Downs National Park. Operating as a hotel since the early part of the 20th Century, Deans Place makes a magical and exclusive setting for your special day. The charming four-acre gardens host a licensed Gazebo for fair weather ceremonies. Alternatively, if a winter celebration is more your thing, enjoy the roaring log fires and a candlelit wedding breakfast. Accommodating for up to 120 guests for both ceremonies and dining or 200 reception guests. 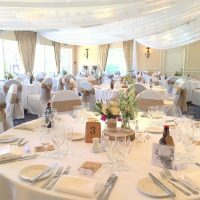 Ideally suited to large gatherings, the Alfriston Suite is warmly decorated in neutral tones and opens onto the patio and swimming pool area. Bathed in natural light this versatile setting benefits from stunning views over the South Downs and surrounding countryside. A lovely, bright indoor ceremony option for up to 75 guests and can cater for up to 50 dining guests for a smaller celebration. The Garden Suite is perfect for smaller celebrations and offers delightful views over the gardens and neighbouring country landscape. The smallest setting at Deans Place is the Terrace Lounge. Coupled with delightful views over the croquet lawn and terrace, it provides a romantic space for more intimate ceremonies and a cosy location for reception drinks in the winter months. During fair weather, couples can choose to tie the knot in the charming gazebo set in the picturesque gardens. 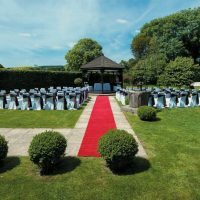 Coupled with magnificent views towards the South Downs, the Wedding Garden provides an exquisite backdrop for photographs and memories to last a lifetime. 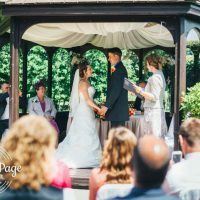 No matter what your vision is for your magical day, Deans Place offers a selection of stress-free set wedding packages to suit a variety of budgets. Furthermore, bespoke packages can be tailored to your specifications if you prefer a more hands-on approach to planning. Leading up to and following the excitement of your special day, why not consider unwinding in one of the 36 luxuriously appointed bedrooms. With single, double, twin, executive and family rooms to choose from, there is plenty of accommodation for the bridal party, family and close friends. The flexibility of Deans Place is reflected in their award-winning catering team, with bespoke and set menus available. 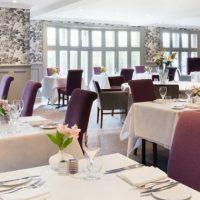 Using locally sourced and seasonal produce the catering team can produce a huge selection of delicious fare to suit your tastes and requirements. From canapés and buffets through to fine dining and barbecues, the only limit is your imagination. To discuss your needs please call 01323 870248 or use the online enquiry form.